Full Description: Minting Correspondence: Neil Wayne. 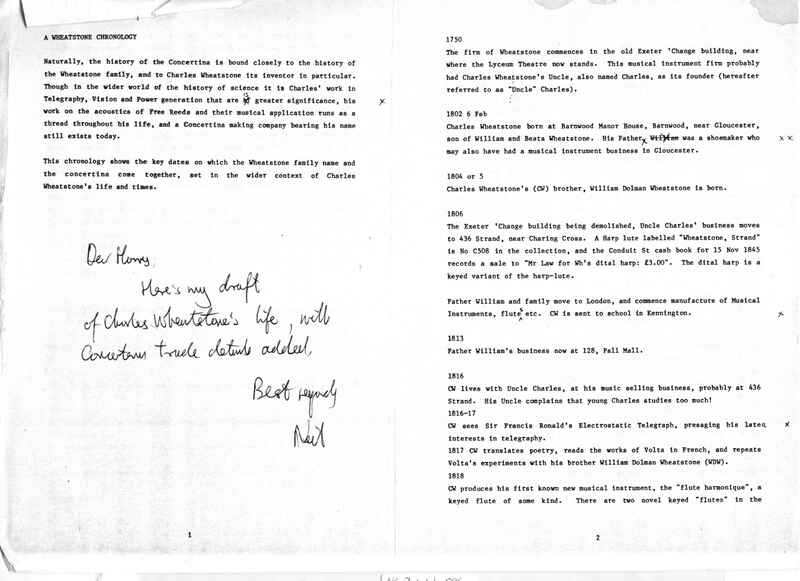 A letter to Harry dated 4th Feb 1986 accompanying Wayne's draft notes on Charles Wheatstone's life and dates for Harry's comments. The Notes are also attached.